Stress-induced cardiomyopathy occurs when extreme emotional or physical stress triggers symptoms that mimic a heart attack, such as chest pain and shortness of breath. This condition is also referred to as takotsubo cardiomyopathy or "broken heart syndrome" and if not treated can be life threatening. While it has been established that broken heart syndrome (stress-induced cardiomyopathy) does happen, the exact cause remains uncertain. Experts believe that after a stressful event, there is a surge of stress hormones, such as adrenaline, that are released. When this happens, it can cause a disruption in the pumping of the heart which can temporarily weaken and damage the heart muscle. The coronary arteries of the heart may also be affected. They can narrow or spasm during a stressful event which can cause circulatory problems and chest pain. If you arrive at the hospital with heart attack symptoms, you will initially be treated for a heart attack. Once a heart attack is ruled out, the doctor will further evaluate you to determine if you have stress-induced cardiomyopathy. Wires are attached to your chest and your heart's electrical activity is recorded. It can detect irregularities in the heart rhythm and structure. The results of this test will determine if it's a heart attack or stress-induced cardiomyopathy. This is an ultrasound of your heart. It will detect if the heart is enlarged or has an abnormal shape which can be signs of takotsubo cardiomyopathy. This test will also show if the heart is enlarged or has an abnormal shape which can be indicative of stress-induced cardiomyopathy. This test will provide very detailed images of the structure and function of your heart. If you're experiencing stress-induced cardiomyopathy, your blood tests will show an increased amount of certain enzymes in your blood. Blood tests can also help confirm if there has been any damage to the heart. This test checks the coronary arteries for blockages. Dye is injected into the blood vessels of the heart and a series of X-rays are taken that show the blood vessels in great detail. When no blockages are found, the doctor may suspect stress-induced cardiomyopathy. 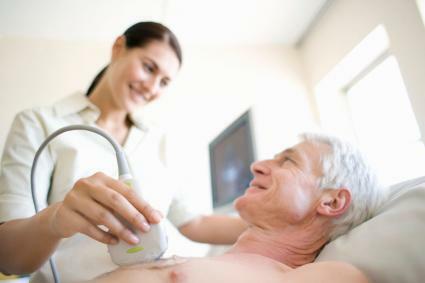 If a blockage is seen on an angiogram, it indicates that the person has likely had a heart attack. These medications may need to be continued for three to six months or longer during recovery; the specific duration of time you need to be on these medications will be determined by your doctor. Typically, stress-induced cardiomyopathy is not associated with having lasting, long-term effects, therefore no long-term treatment plan is prescribed for the patient. However, recent studies found in Circulation the European Heart Journal have argued that there very well could be long-term effects on a patient's heart health. Based on the findings of these studies, it is suggested that after a patient recovers, he or she should continue to be treated in a similar fashion as those who are at risk for heart failure. It is always best to consult with your doctor, especially if you have any questions or concerns. He will recommend maintaining a healthy diet and exercise routine and make suggestions on how to recognize and manage the stress in your life. Most can rest reassured that the chances are low that this will happen to again and the long-term prognosis is excellent.